In 1984 a movie was released to theaters that has stood the test of time, spawned a sequel, tons of merchandise, and was partially responsible for the PG-13 rating. Unfortunately, that is not the movie at hand, that movie was, of course, Gremlins. The movie we have to deal with right now is one that would seem to be trying to cash in on name familiarity, but otherwise has absolutely nothing to do with the classic. 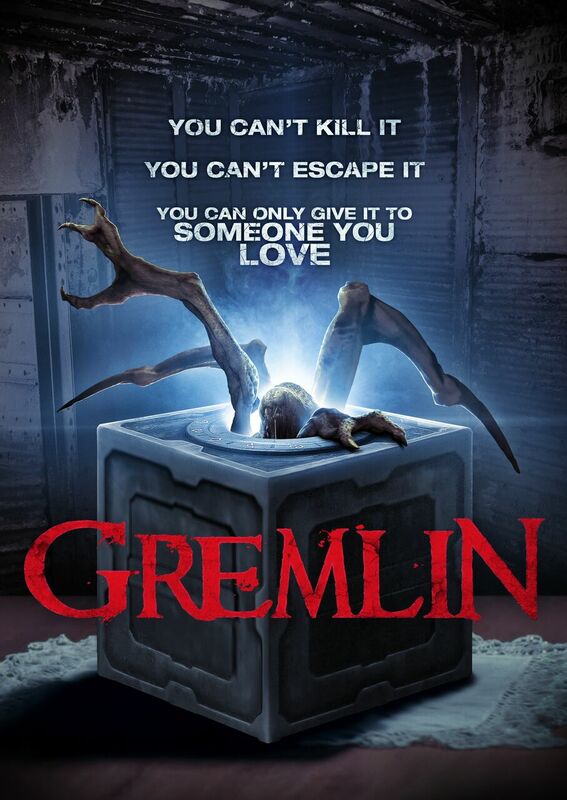 This new movie is called Gremlin and really the only thing I found to be notable about it is the name. Gremlin was written and directed by Ryan Bellgardt and is his follow up to Army of Frankensteins. To be sure, I have seen worse films, so to toss that hyperbole at this film is a little unwarranted. Still, this is a movie that tries to build something fresh, but ends up being some sort of mash of the Hellraiser cube and It Follows. It is a movie that tries hard but really fails to ever leave the launching pad. At the center of the story is a large cube with some glowing symbols arranged like a clock face on one side. As we are introduced to it, we watch the symbols glow as one side opens. A CG creature looking something like a praying mantis comes out to a man waiting with a shotgun. Shortly after this introduction we see the man giving the box to his elderly mother, telling her it is a game and you only have to pass the box on to someone that you love in order to win. She takes it and promptly hands it to her grandson whose family just happens to have moved in with her. In pretty short order, symbols begin lighting up, the CG bug pops out, kills a family member and returns to the box, beginning with the elderly woman who had just received said box. Of course, the police do not believe that a critter came out and committed the murder, so the family becomes suspect. When the killings don’t stop, the family becomes more desperate and the police more curious. We get some side plots, like the pregnant daughter, but that never really goes anywhere and is quickly made a non-issue. The box mythology does not seem to be consistent and is not explained very well. It really feels like they watched It Follows and thought they had a fresh idea for the concept and just ended up making it worse. Gremlin feels like one of those SyFy channel creature feature of the week type things. It is low budget and looks it. 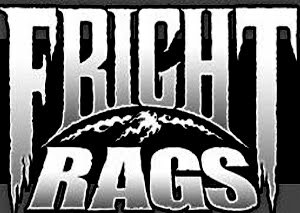 Now, I have no problem with low budget movies, bad CG, or creature features, that is just window dressing. My concerns generally lie in the execution, and while this was not exactly executed terribly, there does not seem to have been as much of an effort to execute it well as opposed to merely execute. It is almost like someone was told to have a movie made in 2 weeks and this was the result. I would rather see a little more time spent on the writing phase to make the best possible film they can with said budget rather than just churn something out for a deadline. Yes, the allusions to Hellraiser and It Follows are easy to see and not the problem. Again, no problem playing with concepts introduced in other films, but please make it interesting. Gremlin doesn’t really seem to make much of an effort and as such winds up being just another anonymous film released to the market, hoping to get some unsuspecting views based in the title. Gremlin is set to arrive on VOD platforms on July 11, 2017.